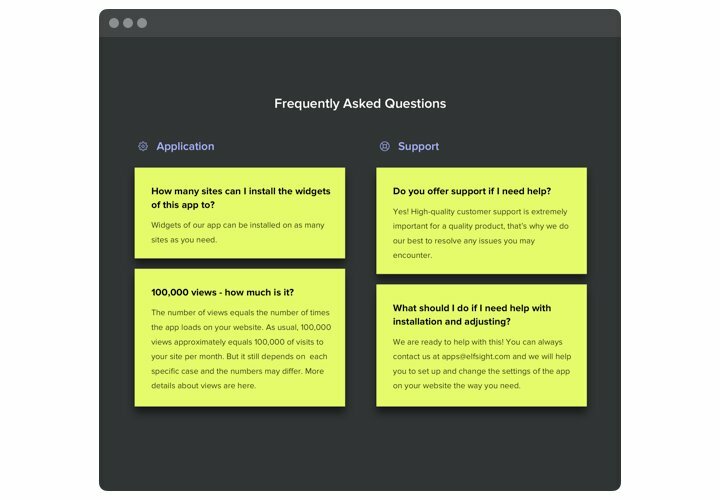 Elfsight responsive Accordion FAQ is an efficient plugin, which helps display the most important customer questions with answers on your website. 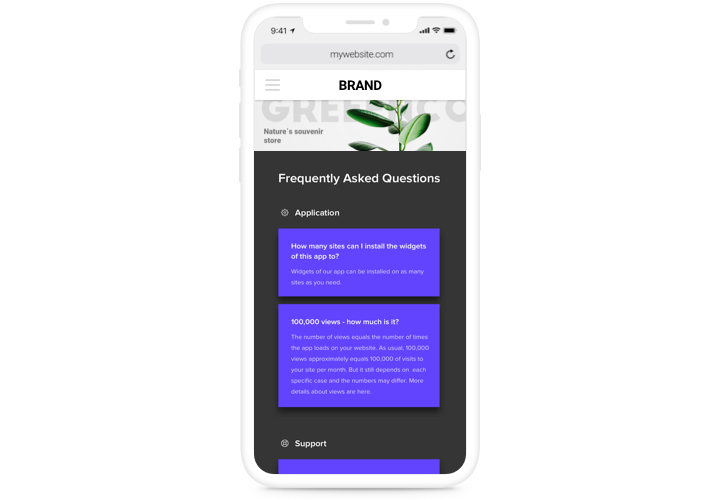 An interactive plugin with uncomplicated navigation allows you to provide detailed info about your offers, direct readers’ attention to positive qualities of items, and prevent probable doubts and distrust, which could hamper making a buying decision. Address appearing questions of your visitors maximum quickly and boost conversion on the website! Eliminate suspicions of your clients and achieve higher income. Demonstrate extensive info about your goods or offers to your users, to eliminate all possible doubts and increase revenue on the website. Create an ideal image of your brand among users. Deliver the right understanding of your brand and business processes, to eliminate all possible doubts preventing them from starting cooperation. Decrease the time and price of help center work. Demonstrate answers to all the most frequent questions about your goods, services, or brand to reduce the extra load of your support team. The strong points of our plugin functionality, which make it the best to integrate FAQ on WordPress website. Updates available to keep it fresh. 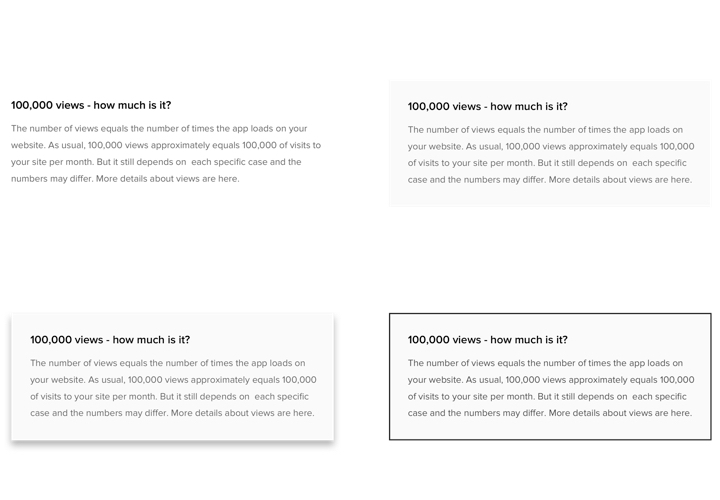 Add a plugin on your site following our brief manual. For this, you don’t need skills in programming, or help of a professional. Total adding time is only 90 seconds. Acquire a plugin and add it via your admin panel . On the plugin page, click «Add to Cart», to download the plugin. Then go to the admin panel of your WordPress site,enter «Plugins» tab, and upload the plugin. 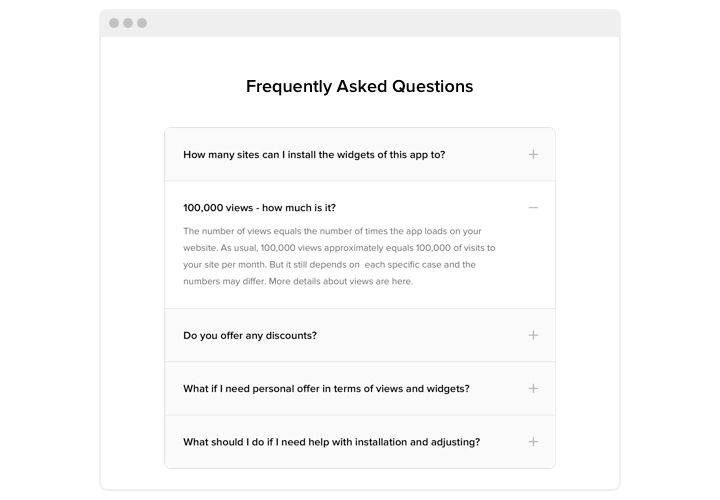 Variate the settings of the FAQ plugin to your liking. Get your personal installation code and copy it for further using. Insert the code into the website. Go to the page where you want t he widget and paste the plugin code there. Apply all the changes. Go to your website to check your app. Having difficulties while carrying out the tutorial? 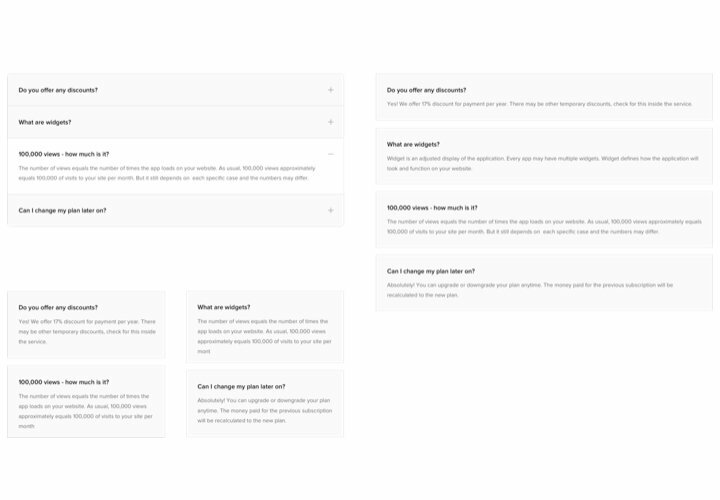 Address our support service or check the full text of the guide «How to add FAQ widget to WordPress» and complete the adding yourself. 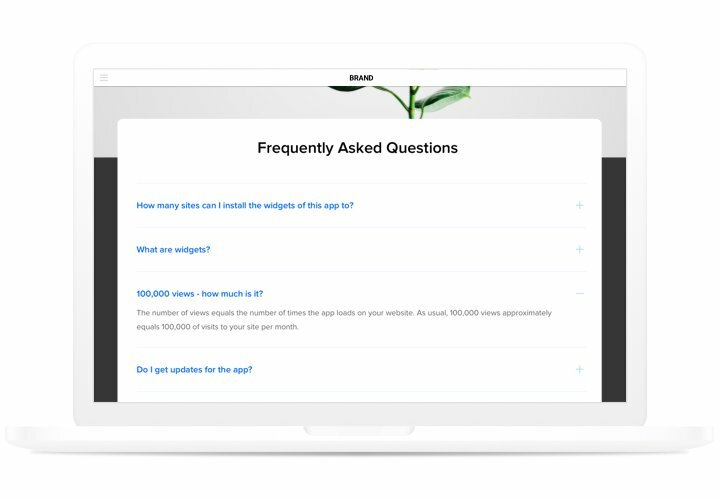 Generate WordPress FAQ plugin in only 90 seconds!